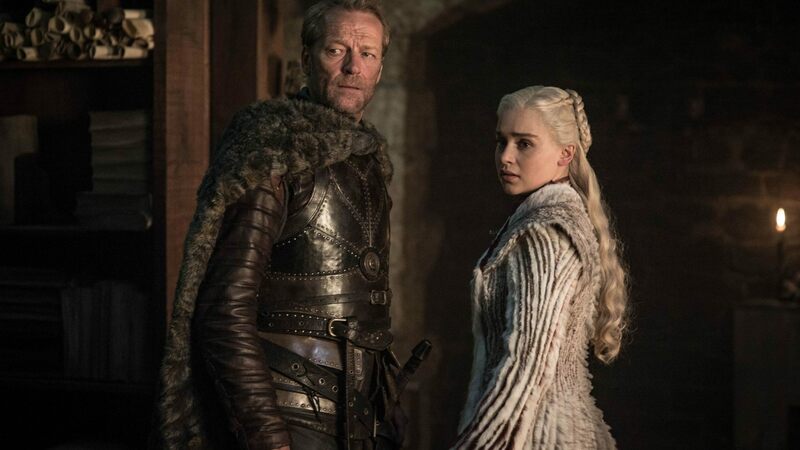 NEW YORK – “Game of Thrones” star Iain Glen discussed his character’s relationship with Daenerys Targaryen and revealed the departed character he wishes he’d killed on the series. The 57-year-old actor spoke with Fox News on the red carpet for the show’s Season 8 premiere where he reflected on his character and how he’ll remember the long-running series. Glen plays Jorah Mormont, a rare character that’s survived since Season 1 of the notoriously bloody show. After spending a decade literally traveling the world with Mormont, the star revealed that he took a keepsake from set to remember him by. A through-line for Mormont’s story throughout the run of “Game of Thrones” is his unrequited love for Daenerys Targaryen, played by actress Emilia Clarke. However, as the final season looms, Glen notes that he thinks fans are mistaken about Jorah’s love storyline with the mother of dragons. According to him, it’s been done for a while. Glen says he’s proud that his character managed to survive so much and make it to the final season. However, when asked if there’s a departed character he wishes Jorah could have had a hand in slaying, the star barely had to think of his answer.